Programmers found the transition to event-based-programming challenging because designing "responsive software" necessarily creates a "loss of control". The paradigm shift can be explained in terms of an inversion from "Space-based ASCII functions" to "Time/location Event Pointers". All data structures have inverse counterparts which can be rationalized as favoring either "time" or "space" and it is important to find out why. For example, the Bin Packing Problem is a challenge of space where as the Knapsack Problem is related to value (or time). One cannot reduce inverse data structures any further than the "area of a square" vs. the "circumference of a circle" which the Twibble is ideally suited to model. 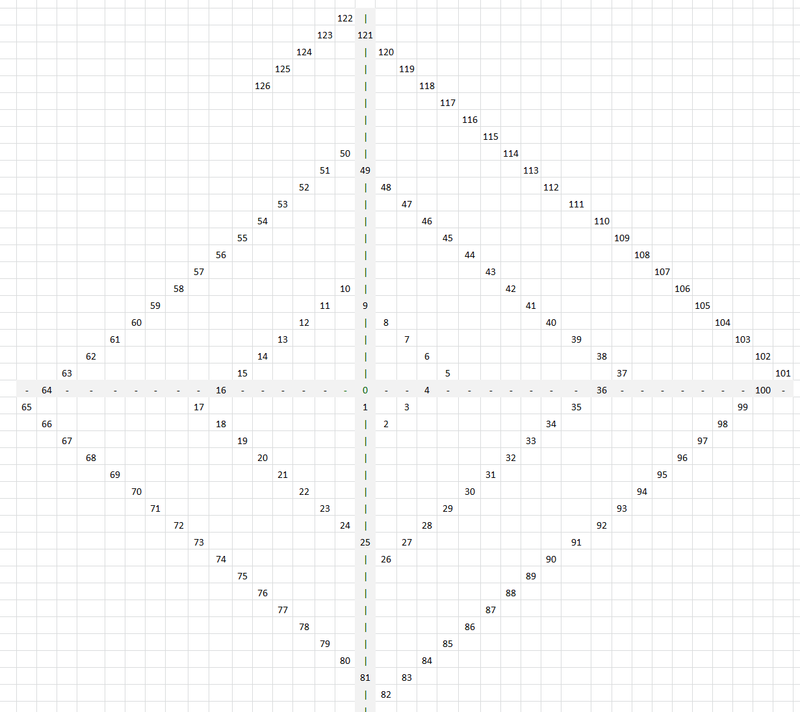 By deleting the Zero's (axis lines) it becomes clear that the square-like pyramids can be used to tile structures resembling circles. 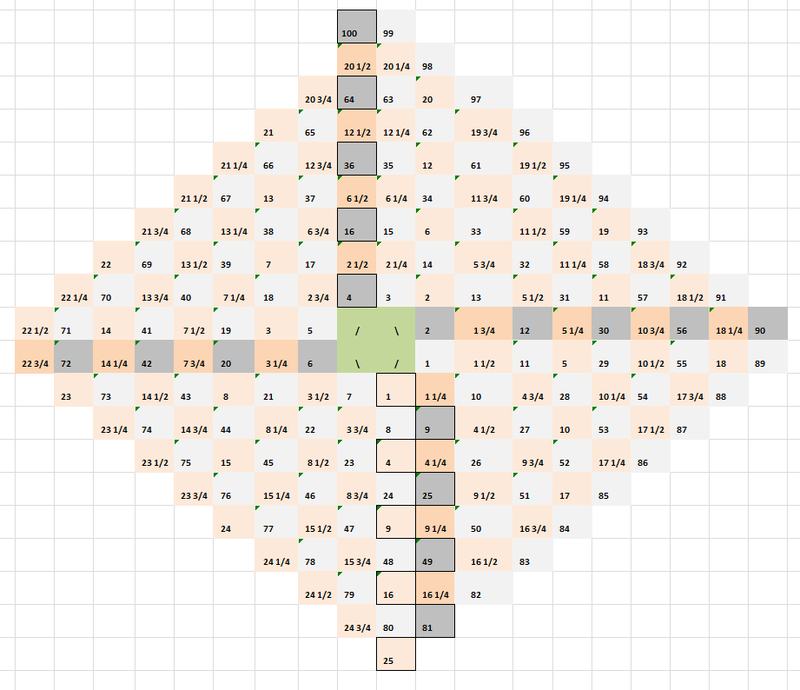 Notice that the circles are revealed inverse to 45* squares. 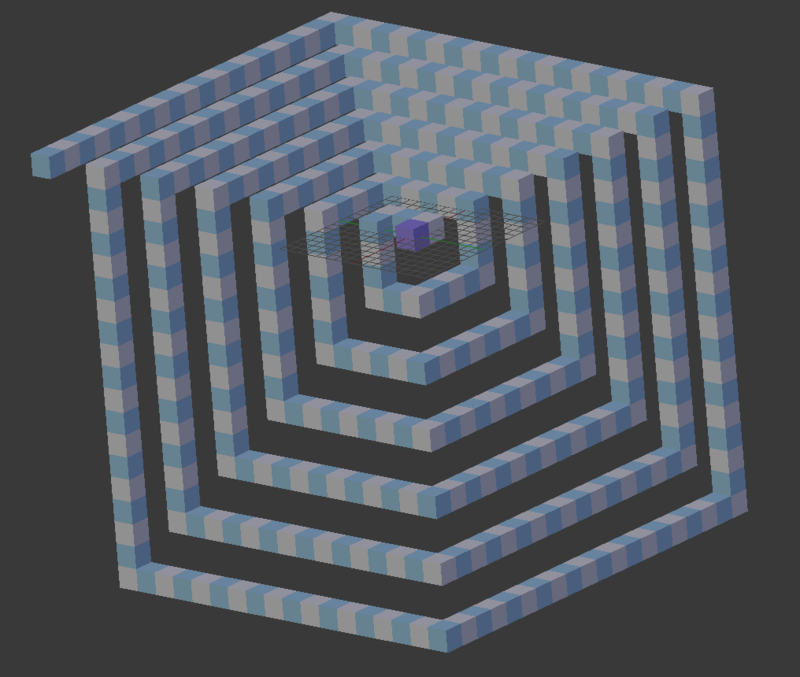 Similar relationships were discovered in computer graphics such as "marching squares" however all of the existing algorithms lack a solid timing model which is necessary to chain link events and derive higher ordered objects. 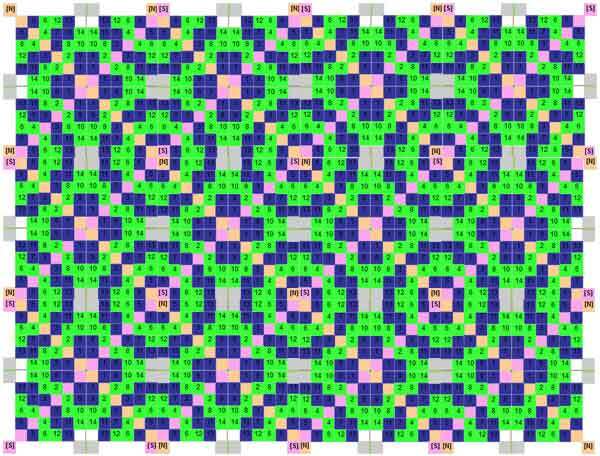 TIME: The circles emerge from the grid by coloring each brick according to EVEN/ODD time-steps. 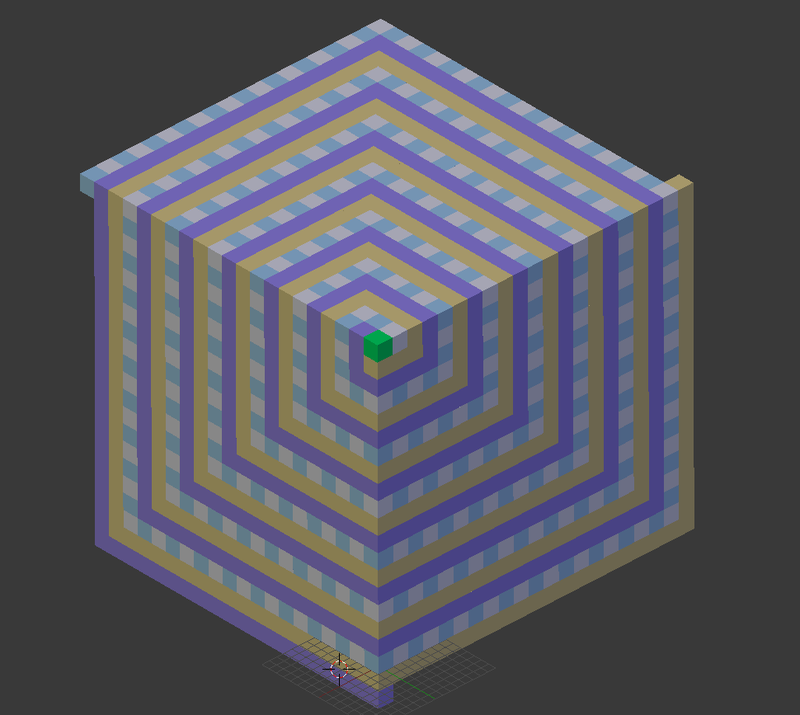 That is, the timing between successive steps delineates the blue/green edges within the confines of a square grid. 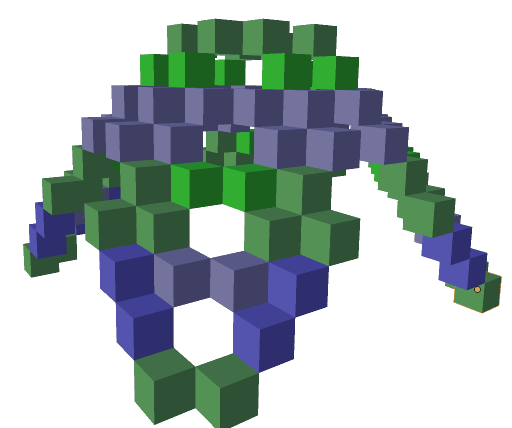 SPACE: The Twibble structure was created by juxtaposing 2 squares together (4 Bits + 4 Bits), or rather, "Twin Nibbles". From this perspective, the BITS are analogous to "SPACE" whereas the RADIX divides into 2 halves according to "TIME" (or value). 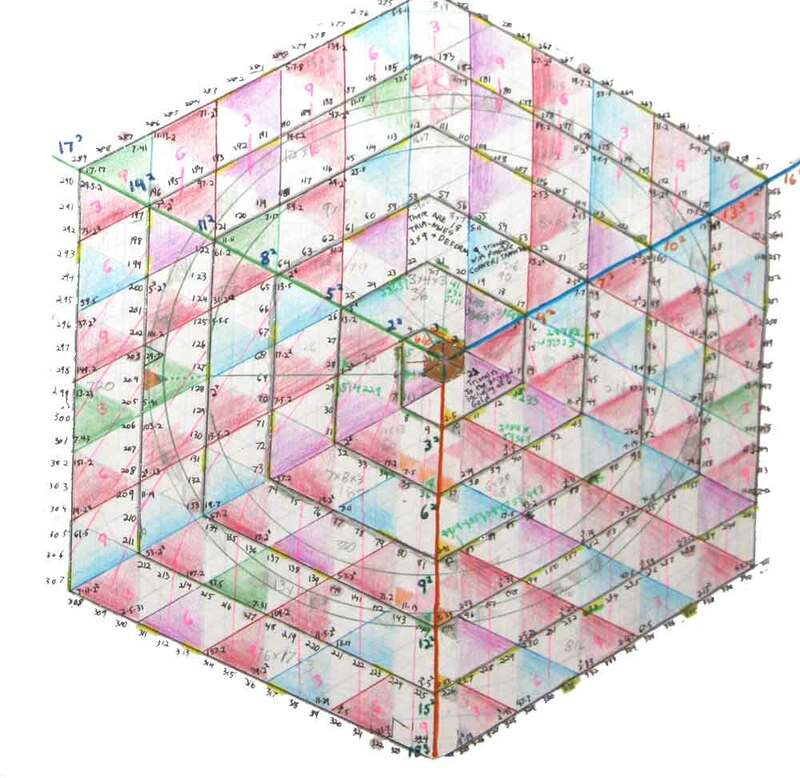 All worldly objects can be represneted by squares using computers and the origins to all such discrete objects are located at the center-points (un-touchable). 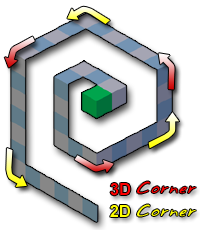 The Twibble can be used to map the hanging-half-steps to the equator crossings at the boundaries of discrete objects when continuity stops. It can be said that every physical bit in the universe is a contradiction which explains why less is more. Better yet, the world's most proven geometric relationship can be shown to have a contradictory origin. The ubiquitous formula A^2 + B^2 = C^2 attempts to explain 2 objects in terms of 1. This begs the question, "what does 1 unit mean in a relative universe?" By overlapping two corners of each "parent square" an origin bit is established by means of a "relative handshake". Does 1=1 or does 1=2? Such an overlap makes this identity a matter of perspective. 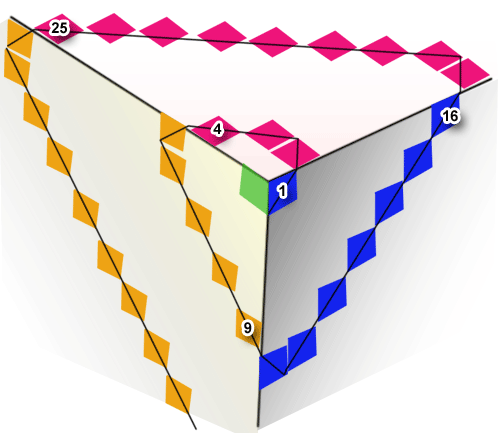 The Extra One: The exclusive form of A^2+B^2=C^2 showcases an imaginary square (C^2) with blunt corners. There is still an "extra one" but its infinitesimal nature prevents the final 1/2 steps from being seen. The circle grid above reserves such regions as a "gray squares". Will choke on large numbers due to acceleration & poor optimization. The Extra One: This version demonstrates an extra one within the center of each C^2. Such origins are depicted as "pink/yellow squares" within the center of each Twibble square upon the circle grid above. Everything in the imagination has an origin. One of Thought Cot's great discoveries is detecting the the difference between origins when the object is perceived in terms of Time or Space. For every singular "thought" there will always be exactly two "contradictions". The prototype (ZERO) will therefore be evident has either (2 x half-steps) or (1 x full-step). Computers can't understand or work with fractional concepts (such as Real Numbers). The best that machines can offer is to simmulate such contradictions using discrete units, ultimately reduced to 1's and 0's. Current engineering practices implement "lossy" / destructive techniques whenever square roots or PI are employed. There is always a better way and there always will be. Perfection is impossible. "It is impossible to be right" which means that "anything is possible". In the age of the internet it is time to give engineering a facelift and this can be done by discovering the 1-to-1 correspondences within all cycles. 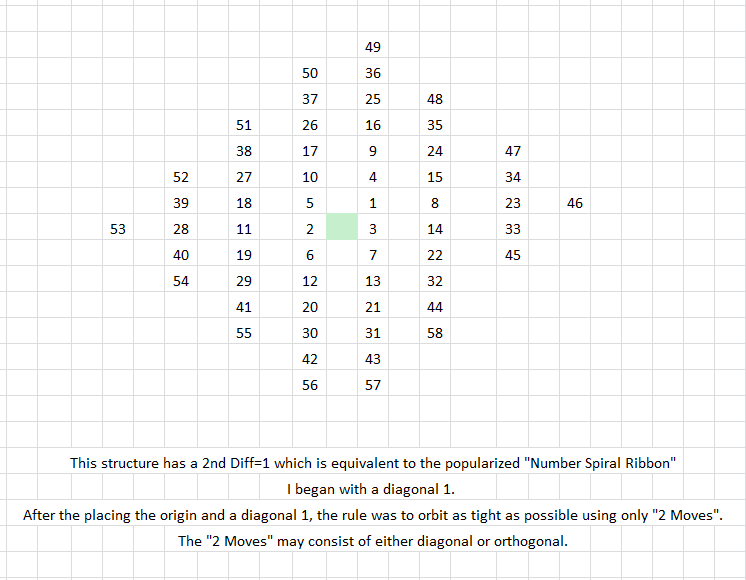 This will provide a bi-directional "map" between the two poles (Time & Space) or (Imaginary & Discrete). 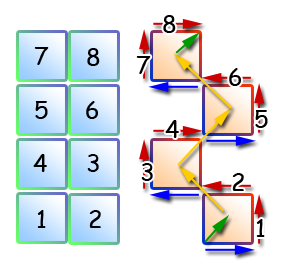 The Twibble is constructred from "double nibbles" (2 x squares) which means that it can be used to count "imaginary / diagonals". 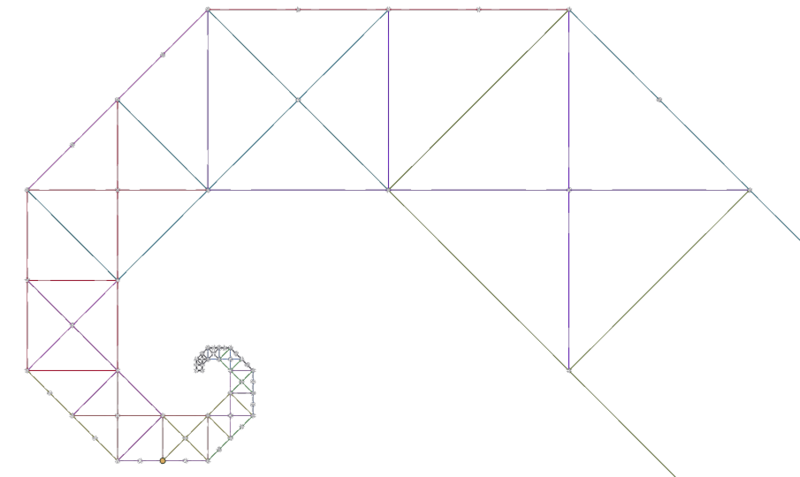 Notice that this structurve counts imaginary edges rather than discrete objects.